It’s important to remember that New Yorker’s crisis was not actually brought upon by New Yorker itself. It didn’t go bankrupt. 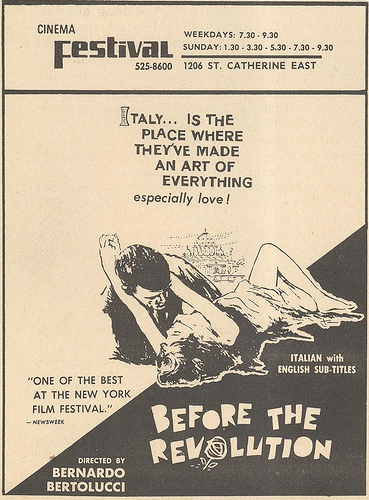 It’s catalogue was put up as collateral by Madstone Films, the company that bought New Yorker earlier in the decade. Madstone closed its doors in 2004 and defaulted on the loan and the bank is foreclosing on the assets: the library of 400 plus films and their respective theatrical, non-theatrical and home video rights. Many of the details are in Eugene Hernandez’s article on IndieWire. What happens now to the New Yorker catalog is a real question mark. Will the catalogue be rescued as a collection and the brand continue under new ownership? Will the titles be auctioned off individually? Will the promised efficiency in selling these assets quickly get bogged down in bureaucracy and legal complications? The terrible truth of the library, unfortunately, is that as valuable as these films are to film history, that value is more cultural than commercial . Weekend and Shoah and La Belle Noiseuse are treasures of world cinema, but they are not commercial properties in the economic marketplace. So a sale of the intact company and a transition to a New Yorker Films under new management may be the most financially logical move and surely the most desirable outcome for the cinephile public. A piecemeal auction would surely see many titles fall through the cracks. But New Yorker’s legacy is more than its library. It’s the living legacy of its decades-long commitment to bringing the films of old masters and exciting new voices to American screens. I don’t want to paint New Yorker as some act of pure cinematic philanthropy, but its commitment has always been to the films themselves, right to end. It’s just as important to preserve that commitment as it is to keep the catalogue alive. The question is, in this market, is anyone in a position to buy such a labor of love business? In tribute to New Yorker, I offer my (thoroughly subjective) take on the essential New Yorker DVD releases. I’m not saying you need to rush out and buy these before they are all gone – we don’t know what the future holds for New Yorker or their DVD line – but Amazon has already listed most of these titles as “discontinued by manufacturer.” And you could do worse than paying your own tribute to New Yorker’s legacy with a home screening of one of these films. I offer two lists: one of the essentials of the canon, and the other a celebration of New Yorker’s continued commitment to bringing vital new films and filmmakers to American audiences. Please note: most of the titles listed below were transferred from unconverted PAL digital masters, which result in a slightly soft image quality (at least compared to the PAL original), minor digital artifacts and “interlacing,” which is an image caught between two frames of the PAL original. Those are minor issues in the scheme of things, but are indicative of the difference between New Yorker and Criterion, a company that always put the extra effort in and, when possible, worked with the original directors and/or cinematographers of the film to oversee the film-to-digital video process. Just another complication in my difficult relationship with New Yorker. The legacy France’s poet of lyrical fantasy in everyday life consists of a handful of shorts and two features. This lovely visual poem was his last, the romantic tale of newlyweds (Jean Daste and Dita Parlo) floating through rural France on a cramped barge with the ship’s slovenly mate (the great bearish comic Michel Simon). Gorgeous, lyrical, with dreamy images (captured by future Oscar winner Boris Kaufman), surreal asides, and a vision of rural France that comes close to paradise, this masterpiece is one of the greatest films ever made and for decades was only available in cut and compromised versions. The film was restored to its “ideal” form and premiered Cannes in 1990, and revisited again in 2001 to create the finest looking print possible from the surviving materials. This disc comes from the 2001 restoration, which is not pristine but as good as one can hope to find in the absence of the original materials. Film historians Annette Insdorf and Bernard Eisenschitz talk about the film in the original 20 minute documentary featurette The Making of L’Atalante. Robert Bresson’s adaptation of Andre Devigny’s memoir transforms the French Resistance fighter’s capture, imprisonment, and escape from the Gestapo during the German occupation in acetic film of documentary detail. Less acted than “modeled” with impassive restraint, accompanied by an uninflected narration and built up with an obsessive attention to minute details (Bresson shot on location at the actual prison in Lyon), this resolutely Bressonian film is also a gripping thriller, albeit a severe, controlled one. Bresson denies us everything outside of his perspective and elements extraneous to his purpose. In such austerity the tiniest of details take on a monumental significance. 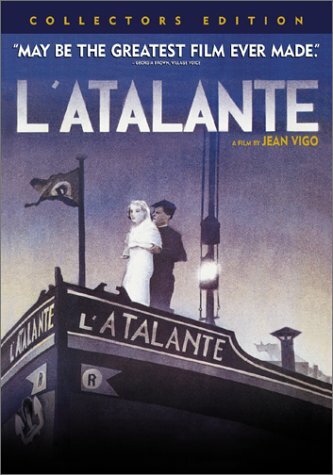 New Yorker also released Bresson’s Lancelot of the Lake and L’Argent on DVD, but only the latter has any supplements. Peter Watkins originally made The War Game (1965) for British TV. His controversial and harrowingly convincing docu-realist portrayal of the aftermath of an imagined nuclear attack on England, as seen in the horrors witnessed and experienced in an English town, won an Academy Award (for Best Documentary!) and two BAFTA awards, yet it was banned from broadcast on British TV for 20 years. Colloden (1964) is his meticulous recreation of the last pitch battle on British soil, when Bonnie Prince Charlie led the Jacobite Scottish Highlanders into battle against the superior, well-drilled forces of the British Army in 1746, which also served as commentary on the escalation of the war in Vietnam. Both films are grainy by nature but New Yorker collaborated with Project X to deliver a superior DVD master for this and numerous other Peter Watkins films, including Punishment Park and Privilege. More than a movie, Weekend is a landmark of sixties cinema, a blast across the bow of a consumer culture eating itself alive. Mireille Darc and Jean Yanne play a horrifically greedy and venal bourgeois couple whose weekend in the country is stopped shot by an epic traffic jam that devolves into a veritable war zone of burning cars and mangled bodies — a perfect backdrop for their murderous ways. Their travels take them through a surreal assortment of artists and lost souls (including Jean-Pierre LÃ©aud as both Saint-Just and a man in a phone booth singing his apologies to a lover) until they are taken by a band of cannibal revolutionaries. Godard’s apocalyptic send-off to consumer society is a scathing satire where everyone and everything is fair game. The black humor has the bitter taste in bile. “End of movie. End of cinema.” Also features video interviews with Raoul Coutard and Mike Figgis and commentary by David Steritt. New Yorker’s Godard catalogue on DVD also includes Hail Marry and his recent In Praise of Love. Claude Lanzmann’s epic nine-hour investigation of the Holocaust, accomplished without a frame of archival footage, is more than just a documentary. 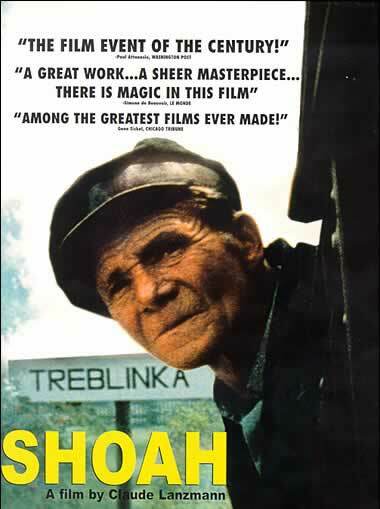 It’s demanding and emotionally devastating but also quite moving, and the decision to tell the history through new interviews and contemporary imagery (the beauty of the green hills where once wholesale genocide was being waged creates a powerful dissonance) makes for a thoroughly involving immersion into the subject. Lanzmann finds an entirely new way of exploring and trying to understand the Holocaust, and creates one of the most compelling works of cinema of the 1980s. The four-disc set features an introduction by Simone de Beauvoir, a comprehensive index, and a director bio. The image is slightly cropped for DVD. Emir Kusturica’s scathing satire of Yugoslavia’s communist past is a mad, machine-gun paced farce set to a brass gypsy band beat (pounded out in 2/4 time) and danced like a drunken roundhouse. Miki Manojlovic turns his best friend and comrade (Lazar Ristovski) into a veritable prisoner of lies in his impossibly huge cellar (which becomes a small self contained world) by maintaining the illusion that World War II still rages outside while the bustling little underground community churns out weapons for the “war effort.” The central metaphor – the dark, circumscribed cellar as Tito’s Yugoslavia – never collapses into empty rhetoric because Kusturica’s dynamic characters take on a life of their own and his cinematic vitality never falters. At over 2 ½ hours it makes for a draining but thoroughly engrossing experience. Also features an interview with director Emir Kusturica. Tran Anh Hung’s follow-up to the lyrical Scent of Green Papayas is as violent and dark as Scent was delicate and hopeful. “It is the black side of the poetry of Papaya,” explained Tran in an interview. “What I want to do is extricate from ugliness a certain beauty”¦ both beautiful and atrocious at the same time.” His gliding camera effortlessly takes us through the claustrophobic streets and grimy slums of Ho Chi Minh City, following the desperate lives of a teenage boy sold into a life of crime and his older sister whored out by her gangster boyfriend, ‘Poet’ (the smoldering Tony Leung). Under the sad eyes and thoughtful silences of Poet rages a tempest that explodes in the film’s most startlingly violent scene, just as Tran’s gentle camerawork exposes a thoroughly degraded world that threatens to close in on and destroy all who enter. This impressionistic drama occupies undefined territory between fiction, docu-drama, and autobiography. Makhmalbaf plays himself, directing a reconstruction of his real life arrest in 1974 when he stabbed a policeman during a protest against the Shah’s regime, with the participation of the former policeman (Moharam Zinalzadeh) who becomes his co-director. The convergence of genres doesn’t blur reality as much as it creates something new through the collision. While Makhmalbaf fills the film with the delightful details that has made Iranian cinema so engaging and fresh, he constantly reminds us that this is no documentary, but a staged piece of filmmaking layered in meanings. Other Makhmalbaf films released to DVD by New Yorker include Gabbeh, The Silence and Kandahar. Abbas Kiarostami has become the a kind of figurehead in the West for Iranian cinema. His rigorous style has always been sensitive to the rhythms of people and the details of day to day existence, and like his best films this unfolds with a remarkable fidelity to (or a convincing facsimile of) real time. What may be surprising to fans of his films is the dry humor that permeates the picture. To Western eyes the pace may seem glacial, yet it’s the very embrace of the time it takes to walk through the village or scramble up a hillside “short cut” that allows Kiarostami to explore the spaces between the words and the landscape that envelopes his characters’ lives. The culmination of such astounding visions is a celebration of the human spirit nothing short of sublime. The great Senegalese filmmaker and novelist and the godfather of Black African cinema died in 2007 at the age of 84. Moolaade, his final film, tackles the issue of female circumcision (also known as female genital mutilation) in Islamic Africa in what can best be described as a rousing celebration of women’s rights and solidarity. Semebene’s style draws from folk storytelling traditions: His dialogue, with its ritualistic call-and-response quality, has a lovely sing-song beauty, and in the climax the women celebrate their defiance in a dance number that merges ceremonial ritual with emotional expression. Beneath the surface simplicity lays a richly drawn community, a serious dialogue about the blind obedience to tradition and authority, and a message of equality, education, and respect. Sembene only directed eight features in his lifetime and New Yorker has released just over half of them, including his debut short feature Black Girl, Mandabi, Xala and Camp de Thiaroye. No one else has released a single Sembene title. “We painters are after the truth and truth can be cruel.” New wave legend Jacques Rivette was a director read about but rarely seen when this astounding four-hour drama about art, the creative process, and the touchy relationships that come out of the creative drive and the creative act, was released. Where his most famous film, Celine and Julie Go Boating (part of the New Yorker library but not on DVD) is a vibrant sketch caught on the fly and shaped into coherence, La Belle Noiseuse is a canvas, and his shifting artistic approach and maturity as a filmmaker results in a more elegant and beautifully shot film. It’s one of the most perfectly shaped and paced and dramatically developed of all of the director’s films. Claire Denis sets Billy Budd in the French Foreign Legion in this mesmerizing movie about obsession and love and hate. As directed by Denis, it’s also about the stunning images of men in motion, of humans against the vistas of the desert and the ocean, of men in action and repose, shot with a photography so tactile and rich it creates a paradise come to life in the desolation of the endless empty. Even when hero Gregoire Colin collapses on the dried salt water lake, it’s the most beautiful portrait of dying you may ever see. Denis Lavant, a pugnacious powerhouse of an actor with the face of a mutt and the eyes of a burning ember, stars as Colin’s tormentor. New Yorker didn’t “discover” the Dardennes, but they championed them by bringing their debut feature to American shores, as well as their third feature The Son. Francois Ozon’s second feature is like American Beauty on hallucinogens, a delicious social satire that flirts with bad taste but balances the perversity with a tender sympathy. Imagine Aki Kaurismaki remaking Night of the Living Dead from a script by Ingmar Bergman. Okay, that’s not exactly an accurate description of this mad, mordant black comedy, but it gives you a sense of the weirdness of Roy Andersson’s singular, one-of-a-kind piece of cinematic insanity. New Yorker championed Chinese indie filmmaker Jia Zhang-ke from this difficult second feature through Unknown Pleasures and Still Life. Danny Verete explores the collision of ancient Bedouin law and tradition with the modern social world of contemporary Israel in this evocative and powerful trilogy of takes in the desolate, unforgiving landscape of Israel’s Judean desert. Without New Yorker, I doubt I would had discovered this delicate collection of little dramas with a simple, ephemeral nature. Nuri Bilge Ceylan’s breakthrough feature won the Grand Prix and two acting awards at Cannes. New Yorker brought it to the U.S. and followed up with the theatrical release of Three Monkeys (which played in a single market before New Yorker’s troubles suspended its distribution). Nicolas Philibert’s award winning film is the most successful documentary in French film history. Which doesn’t exactly make it commercial stateside, but New Yorker brought it over regardless and it found an audience. Before The Secret of the Grain, Abdellatif Kechiche made this beautifully observed (and at times very funny) tale of high-school kids in the projects outside Paris. Its critical neglect is almost criminal. A couple of Hong Sang-Soo films have been released as imports, but the only two American releases – this and Woman on the Beach – are courtesy of New Yorker. Just as Milestone Films produced our own DVDs for New Yorker and will retain rights to our own titles, Project X produced The War Game / Colloden and all the other Watkins films. They’ll still be available through Project X.
I hadn’t realized just how many of my favorite films could disappear from US availability. Excellent lists. I wish they weren’t so excellent. Thanks for the information, Dennis. I knew that the Milestone titles that New Yorker distributed would stay with Milestone (which include Winter Soldier, Beyond the Rocks and The Big Animal) but I wasn’t aware of the Project X relationship.